Keeping my house clean is not something that comes naturally to me. But let me tell you, I love my house a lot more when it’s clean. There is just something about a clean house that makes a heart happy, am I right? I’ve been working on little ways to keep my house cleaner and clean it up quickly. This is especially important as a new mom because I don’t have unlimited time to clean the house. 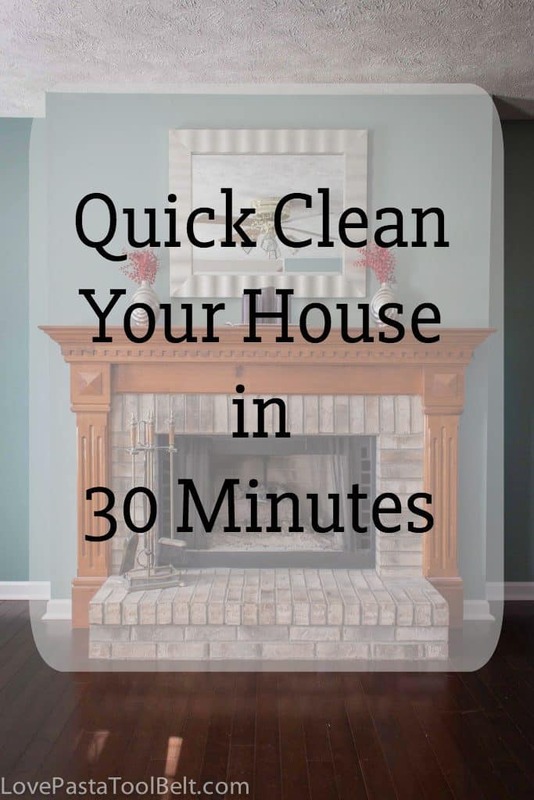 It’s also helpful if you have guests coming over and need to speed clean your house. Pick up time– Set a timer and dedicate that time to picking up stuff and putting it away. When we were younger we used to have 20 minute pick up times. My mom would set a timer and we would speed clean our house by putting everything back where it goes before my dad came home from work. Pick how much time you need to allocate to pick up time and set a timer and get to it! 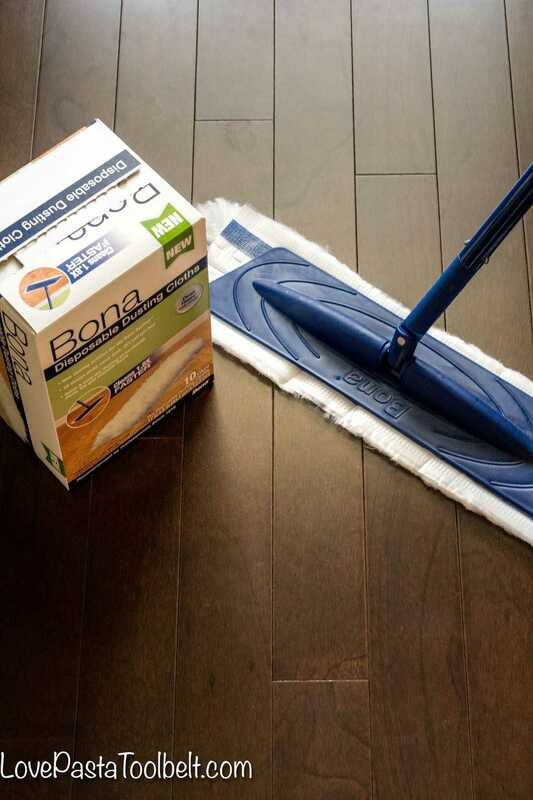 Dust the floors– The Bona Disposable Dusting Cloths are perfect for a quick clean of your floors. We have dark hardwoods in our house and I love using the Bona products on them. 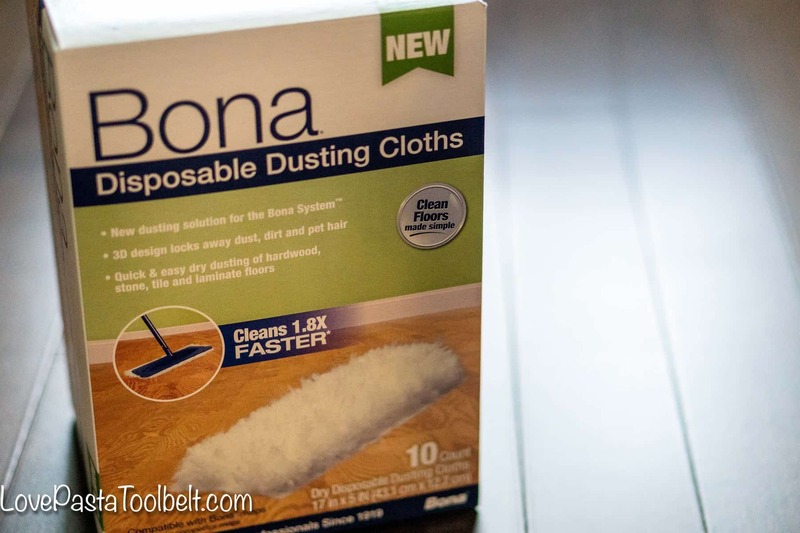 When I heard about the Bona Disposable Dusting Cloths I had to head to Lowe’s to pick some up. 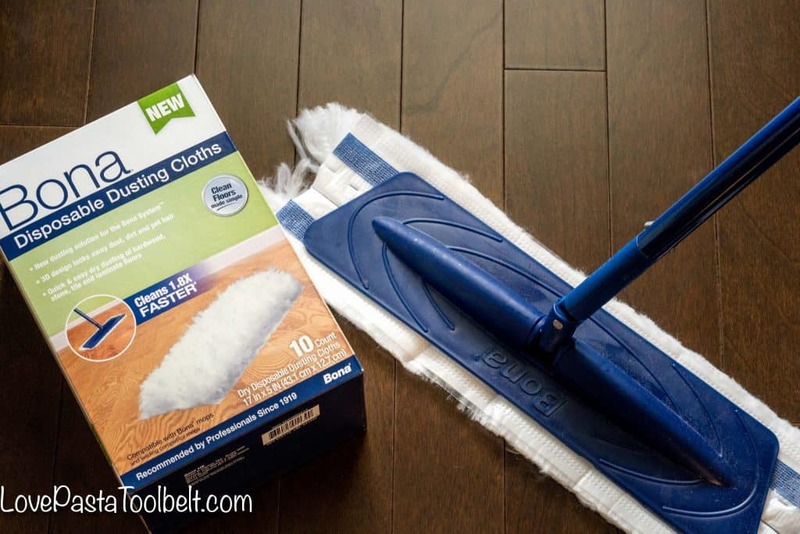 They’re great because they attach to my Bona mop so no need for yet another mop in my closet. Since I have a puppy dog who sheds a lot and dark hardwoods my floors look bad, fast. These disposable dusting cloths are perfect to pick up the pet hair and keep the floors dust free! Wipe down the counters– We have an open concept house so when you walk in our front door you can see straight to the kitchen. I love the open concept but it also means I need to keep my kitchen looking good and I can’t hide it from everyone. Keeping my counters clean and decluttered is a great way to make my kitchen give the illusion of being organized. 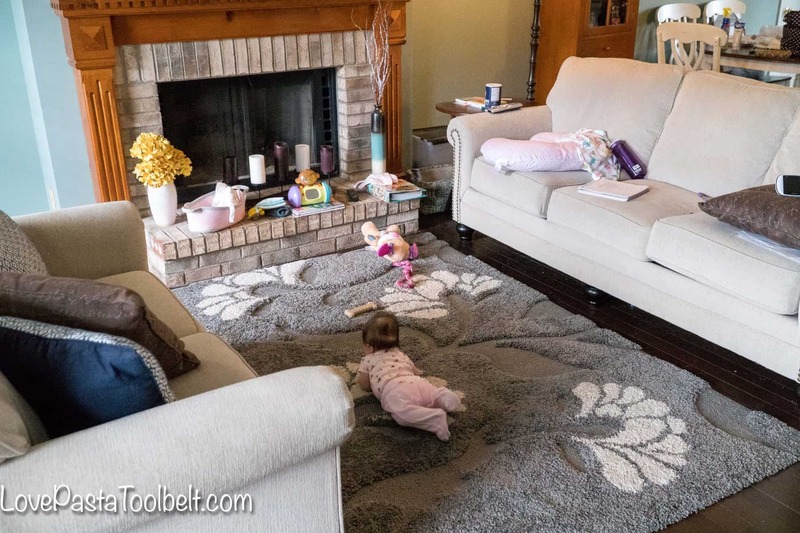 Fluff the pillows– Fixing the pillows and throw blankets on my couch instantly adds some coziness to a room that may be lacking it if the pillows are thrown everywhere. Whenever I want my house to look clean I always straighten up my couch. 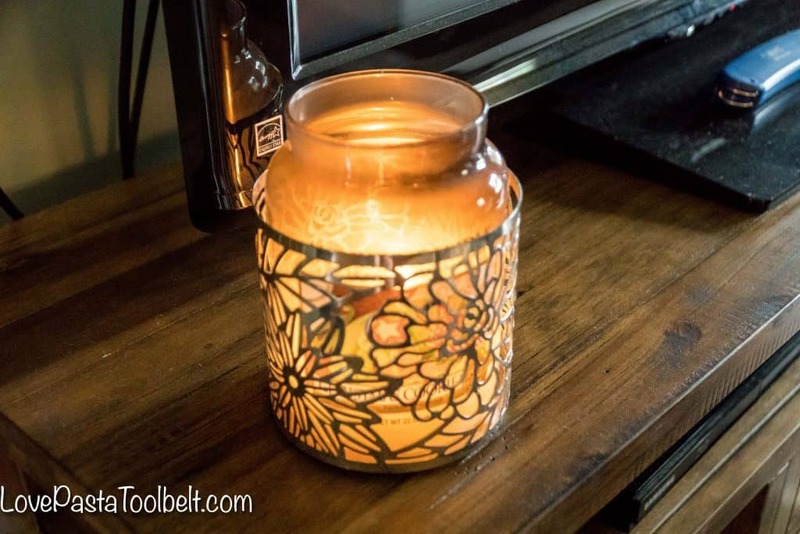 Light some candles– Nothing adds a good clean and cozy feeling to a house like lighting candles. While it may not make your house cleaner it will make it smell better which is sometimes just as nice! 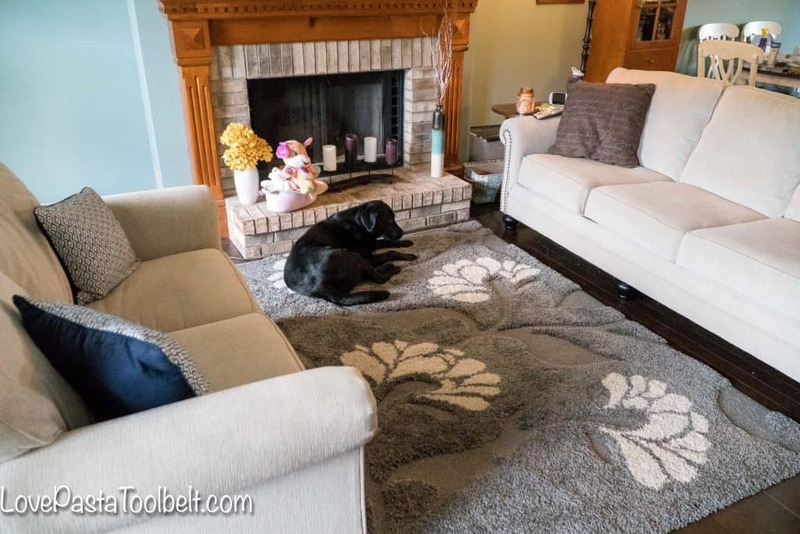 I’d love to hear any tips you have to quick clean your house? Also have you tried the Bona Disposable Dusting Cloths yet?